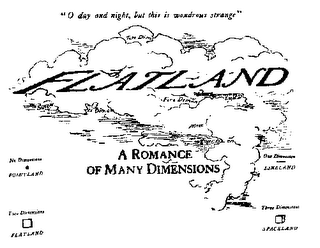 Adapted from Edwin Abbott's celebrated 1884 geometric novel, FLATLAND is a story about the multiplicity of dimensions and the discovery of what exists beyond the seen. It's a two dimensional world peopled by geometric shapes, of squares and circles, who learn that their universe consists of more than a simple plane. Told via the medium of "Victorian" toy theater, this is an opera presented upon a large table top stage, as if watching a performance through the wrong end of a telescope. An evolving work in progress, FLATLAND juxtaposes the grand and the microscopically absurd, and collides Victorian stagecraft with modern tech toys.